After what was a vitalizing encounter with Bob Goudzwaard, a fixture of Reformational thought at ICS, we had the opportunity to hear Goudzwaard again, this time at convocation. Receiving his honorary doctorate, he took the opportunity to reflect on the history of ICS. The fundamental observation of the Institute, said Goudzwaard, was that neutrality is impossible. As we hear in Deutoronomy, there stands before us the choice between good and evil—and we are called to choose good. This decision is the axiomatic foundation for philosophy at ICS; not ontology, not metaphysics, not even philosophy, but a decision. For this reason, the initials “ICS” might just a well stand for “In Christ’s Service,” said Goudzwaard. He recalled that Bernard Zylstra, an early ICS Senior Member, was among the first to see the connections between imperialism and apartheid in South Africa (Zylstra was also the last to interview Steve Biko before his death in prison). In a context where Reformed Christians were largely the oppressors, Zylstra’s stance, motivated by his philosophy, was radical. Goudzwaard also named his friends Jim Olthuis, Henk Hart, and Cal Seerveld, who were in attendance, as innovators at work in service of the Lord Jesus. At their mention, I watched as these three nudged one another, smiled, and grasped for a fleeting moment the energy of their past experience. Goudzwaard was not, however, receiving an honorary doctorate because of his ability to drum up a useful nostalgia. His address turned to the cultural climate, donning the rhetoric of a seasoned cultural and critical theorist. We are entering a world of extremes, he noted. Such a world is all the more dangerous given the rapid development of new technologies. While technologies bring with them incredible opportunities for advancement and human flourishing (Goudzwaard is no Luddite), they also hold the potential for the yet unimaginable catastrophe. Society has no unified vision to decide how to utilize and develop these technologies. Who will decide on their use? Money? Arrogance? Benevolence? With the rise of polarized culture, ICS has a unique place—it must offer, in Goudzwaard’s words, an academic defense of holiness. We have lost the idea of healthy restraints, given up in favor of collective illusions. “Holiness” seems passé, cliché, at best a vestigial term from a bygone era of so-called righteous Christendom. Modern autonomy and postmodern resignation have won the day; we now face, in the words of Baudrillard, the will not of persons or powers but of the objects themselves. We have left the dialectics of meaning. We inherit a nebulous space devoid of purpose. The decision called for in Deuteronomy, so necessary in a technological and ambivalent age, is paralyzed by an endless string of qualifiers. But Goudzwaard does not leave us in the void! To combat this pervasive nihilism, we require a living faith and a living God who overcomes resignation—a God who tells us to choose life or death. Alluding to Ephesians, Goudzwaard said ICS must become the helmet of hope. It must uphold respect for the truth, that most unpopular and unfashionable of girdles. The Word of God, its sword, must become its offensive weapon against mechanization and the airy nothing of contemporary society. This stays true to the history of ICS, which has a reputation for fighting on all fronts, both culturally and ecclesially, to the point of publishing a magazine called Vanguard. Aware of and sympathetic to those theorists who rend their theoretical clothes, the thinkers of ICS have sat in sackcloth; yet they also hear God in the whirlwind, and they begin again. As he concluded, Goudzwaard offered one criticism of Paul’s military uniform. 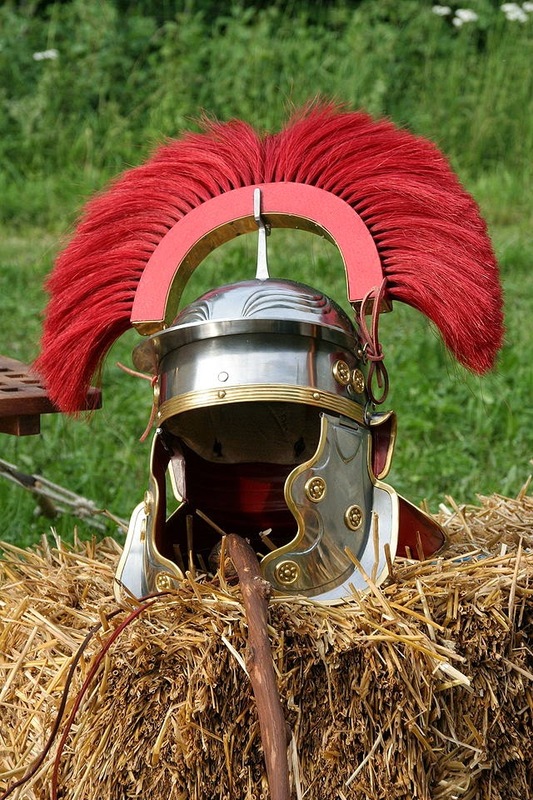 Paul, he said, sadly did not include humor among the armor and weapons he listed in Ephesians. Perhaps it was because he persecuted others and his heavy past invoked a stark seriousness. But humor is very strong; it disarms enemies, catches people off-guard. Communists and fascists, he said, have no humor. The Jewish people, however, have humor—and ICS has always had humor. As it proceeds, ICS must be a humorous place, allowing laughter to ring subversively through its halls. Ending with a joke, Goudzwaard left it to us, current Senior and Junior Members, faculty, staff, and supporters, to choose: life or death. The opportunity to hear from this Reformational giant was among the many ICS experiences I will not forget. When the weekend was over, it was clear why Goudzwaard received this honor at ICS, and we left invigorated with the possibility that ICS might be the helmet of hope, with a good dose of humor, in a society in desperate need of truth, justice, and peace. First image used from http://www.refdag.nl/kerkplein/kerknieuws/eredoctoraat_voor_dr_b_goudzwaard_1_608006; second image used from http://en.wikipedia.org/wiki/Roman_helmet#mediaviewer/File:Helmet_centurion_end_of_second_century.jpg. 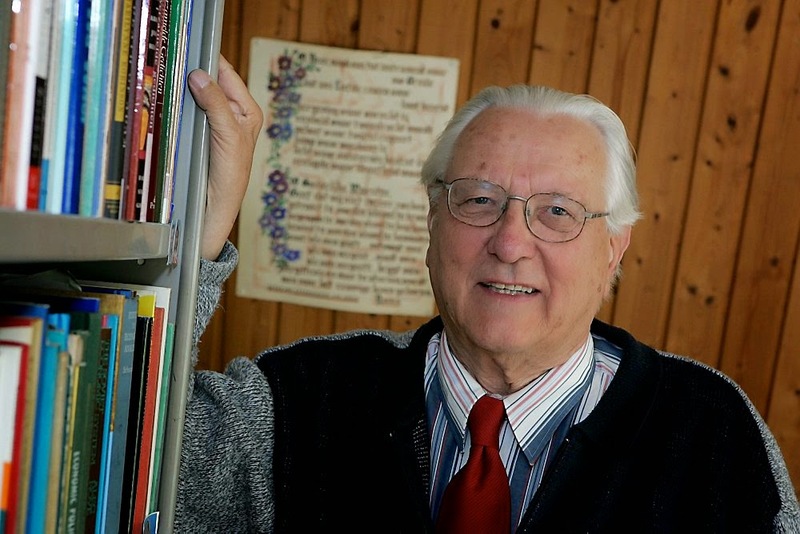 On May 10th, at convocation, the Institute for Christian Studies (ICS) granted an honorary doctorate to Dutch economist and longtime friend of the Institute Bob Goudzwaard. Dr. Goudzwaard was kind enough to make time to speak with ICS students informally the day before. I thought I might share some of the highlights of our discussion, culling together some observations from my notes. Dr. Goudzwaard slowly paced his way into our humble ICS classroom with a smile. With a significant and charming Dutch accent, he told the few of us gathered there that he was glad to be in Toronto with his wife, Elaine Botha. Over coffee and cookies, we shot the breeze about his recent move to South Africa and waited for students to trickle in. Soon enough, the conversation switched gears from pleasantries to philosophy, opened by Junior Member Josh Harris’s question about an exchange he was reading between Dr. Goudzwaard and American economist Michael Novak. Novak, a Catholic thinker, came to prominence discussing the relationship between Catholicism and free-market capitalism. Given Goudzwaard’s primary career as an explicator of Reformational philosophy and its criticisms of capitalism, the exchange was inevitable. Goudzwaard began, in typical Reformational fashion, by rehearsing the need for a dynamic, multi-dimensional view of reality. In contrast to what he called a mechanistic worldview, he suggests speaking about society with organic, living metaphors. There is a biblical precedent, of course, as Goudzwaard reminded us of Paul’s decision to describe the Church as a body; organic relations between persons, he said, should have priority over mechanistic ones. He proceeded to note the positive contributions of Catholic social teaching in economics and politics, something Goudzwaard is particularly acquainted with given his experience in Dutch Parliament and the recent political cooperation between Catholics and Calvinists in Holland. Practically, he told us, Catholics and Calvinists often agree. Catholic labor movements focus on the family, which leads them to see the worker as part of a family—the worker is situated in a complex social matrix, and Catholics attempt to see the worker as imbued with human dignity. Reformational thinking finds significant points of contact here, given its commitment to seeing reality as multi-modal. The two differ, however, ecclesiastically and ontologically. Catholicism, explained Goudzwaard, requires the Church to sanctify life; there is a hierarchical relationship at work. Reformational thinking, however, is a bit more horizontal. For Reformational thinkers, all of life is holy and sanctified. Humans are always responsive—with a glow of Calvinist mysticism (if there is such a thing), the world itself, he said, “is an expectation of an answer.” Reformational thinking, like Catholicism, wants to see the worker as participating in a variety of social and ontological relationships, but it prefers to conceive of things in terms of the well-being of the whole, of which the church is a part. In other words, the authority of the Church is dislodged in order to account for the organic, interrelated modes of all of reality and society. This calls to mind the “sphere sovereignty” of Abraham Kuyper, a founder of Reformational thinking, who argues that the spheres of reality each have a legitimate function and role to play, yet they are not to impinge upon other spheres. Governmentally, this means, according to Goudzwaard, there is room for a “need-based” intervention, but no more, thus the state has a legitimate role to play in social affairs but should not over-reach its sphere. Government must answer to the call and norm of justice, using its power not to do whatever it wishes but to act with reference to particular mandates. This led us back to the particular problem of Novak and free-market capitalism. (Novak’s own stance does not entail many of the labor-oriented ideas of Catholicism noted above, preferring entrepreneurial freedom.) 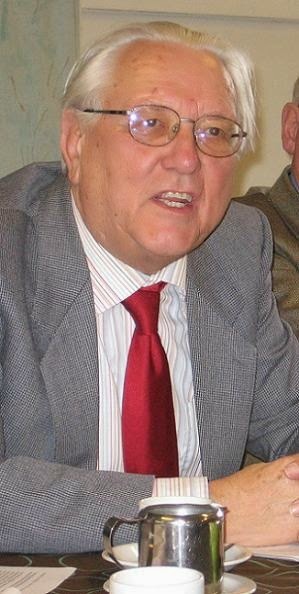 Goudzwaard brought up an example of a popular phrase from Margaret Thatcher, abbreviated to “TINA”—“There Is No Alternative.” In response to this acronym, he recalled some of his students came up with another, “TATA”—“There Are Thousands of Alternatives.” Conversation naturally came to consider the problem of economic and political pluralism. Each culture, said Goudzwaard, deserves its own economy, referring specifically to Japanese culture as an example. There, we find alternative values and relationships which should be expressed in their particularity, rather than reduced to the dominant models of value in the West. But what, we asked, should the West be concerned with? Goudzwaard says we must ask the question: “What is enough?” This question came to his attention with the work of American author John Perkins. Individuals, Goudzwaard says, should face this hard question and decide according to their lives and needs. The question should be hard, however, and situated not within the context of economic “growth” but economic health. He provided the metaphor of a tree. A tree grows, but it is wise enough not to grow to the heavens and burden the earth. Instead, the tree gets tall enough—and then, it branches out and grows in fertility. A common misconception today is that growth is a good in itself, yet Goudzwaard wishes to contextualize growth with reference to other, more important and lasting issues. Our conversation turned to more pervasive cultural problems. Goudzwaard brought up the example of Jean Baudrillard, a postmodern social theorist, whose notion of “strategy fatale” proved to be a useful way of articulating the contemporary climate. It is no longer the case that human agency determines the matrix of meaning, but we are subject to the will of the objects we encounter in daily life. Spanning theorists like Arendt, Foucault, Adorno, Marx, and Nietzsche, Goudzwaard weaved together a narrative of cultural nihilism. We have lost “our way.” The West needs a renewed “way orientation,” something different from a “goal orientation.” Today, the West has many “half-ideologies,” Goudzwaard noted, alerting us specifically to the religious language at work in popular politics. Campaigns that use the language of salvation are particularly troubling, assuming something like growth will “save us.” Be careful making applause for economic growth, he said, because before you know it, it will be commanding you; this is the power of a goal orientation. Peace, he concluded, is never a goal but a way. 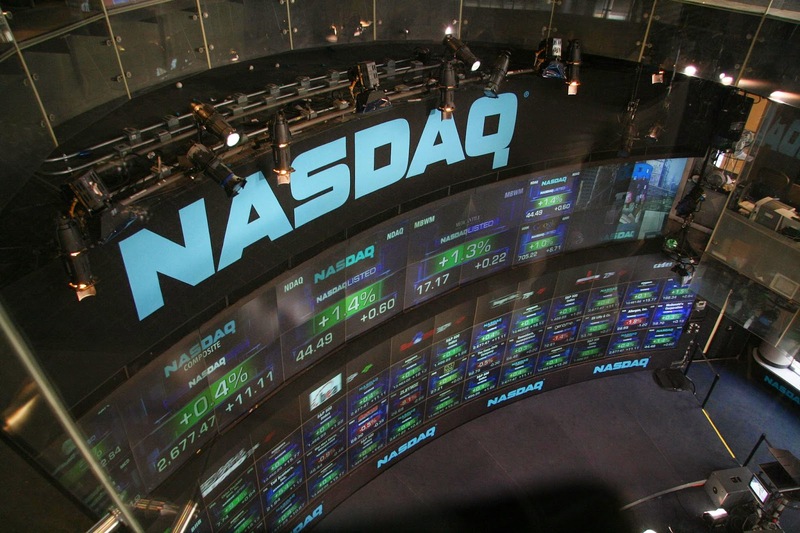 First image used from http://www.nieuwwij.nl/interview/er-moet-minder-focus-komen-op-geldgroei/; second image by bfshadow, used from http://commons.wikimedia.org/wiki/File:NASDAQ_stock_market_display.jpg. Alex Murphy had no idea that tracking down some dirty cops in his department would turn him into a cyborg. After a car bomb and some 2028 AD technological wizardry, Alex Murphy wakes up as the first half man, half robot, all awesome crime fighting machine: Robocop. Now more machine than human, what has Alex Murphy become? Does he have free will, or is he nothing more than a computer program in the body of a cyborg? 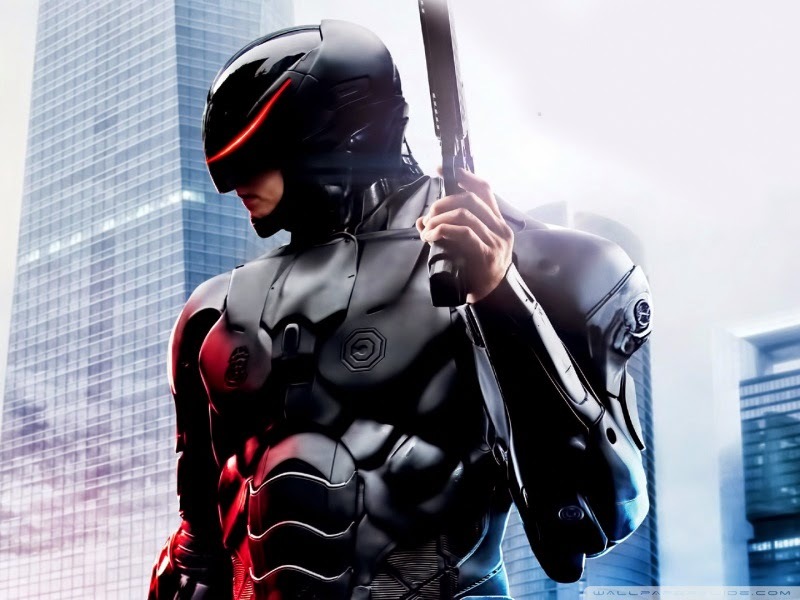 Set to be released on DVD and Blu-ray today (June 3), the 2014 reboot of the classic science fiction film Robocop (1987), has received some fairly poor reviews. A lot of reviewers seemed to think it was a watered down remake of the original. Others thought it was okay for a sci-fi/action movie but was nothing special.